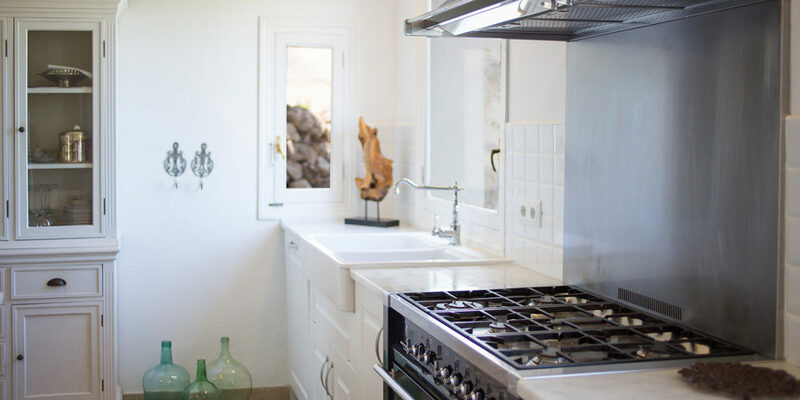 The fabulous private estate of Binigaus Nou and its ‘boutique villa’ offers a unique experience for discerning guests seeking a truly remarkable Menorcan holiday experience. 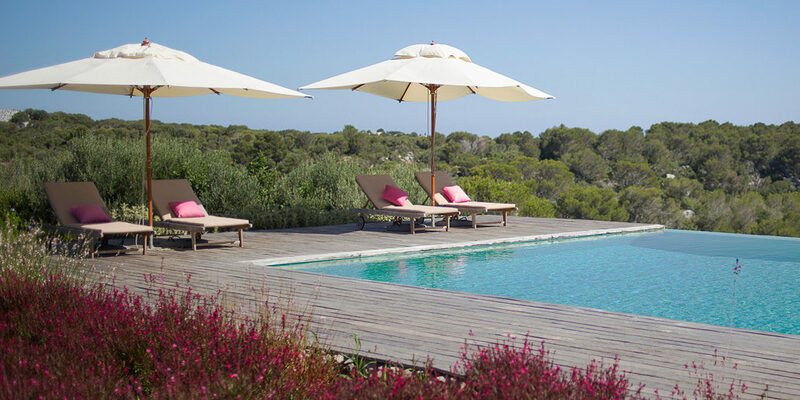 Set in 300 acres of grounds and with direct footpath access to one of the island’s most beautiful beaches, the estate is a luxury retreat for visitors desiring total privacy and comfort. The house was built in 1798 and was lovingly restored, with great respect for its history, in 2012. Its family owners live there for part of every year. 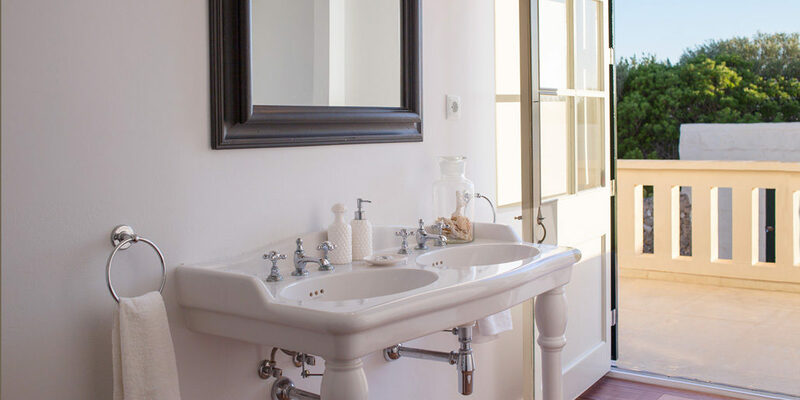 The fittings and fixtures are an eclectic mixture of antiques and modernist, blending together in harmony to create the most special ambience for a truly relaxing holiday in the very heart of the Menorcan countryside. Binigaus Nou and its grounds are perfect for the extended family holiday or special family occasion. 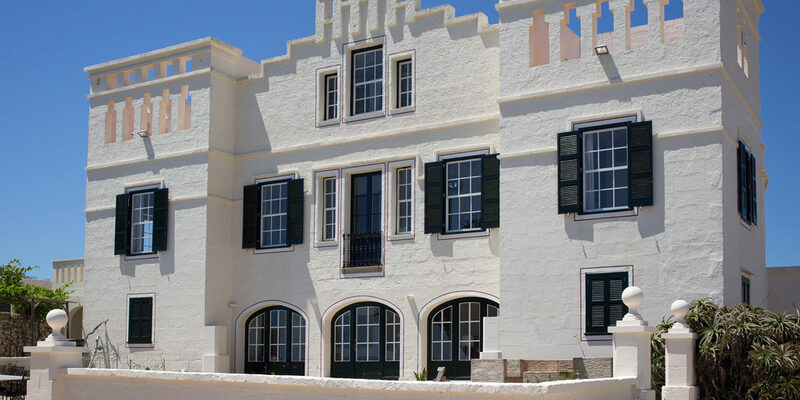 Very rarely are properties like this available for rental and Travel Menorca is proud to able to offer it. On approaching the imposing property down the drystone-walled lane, the beauty and grace of the house is immediate. 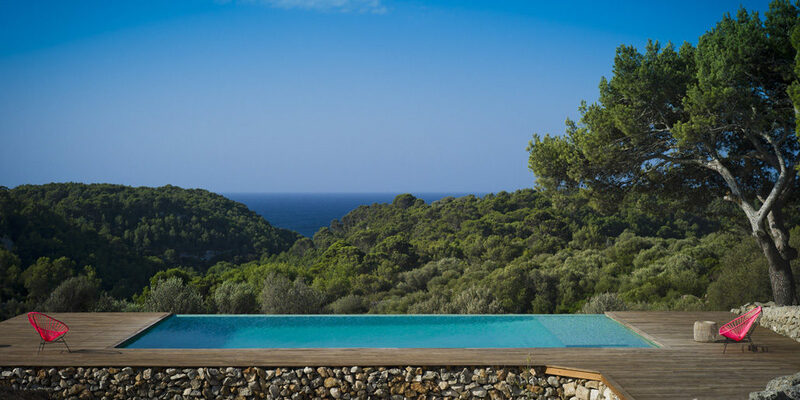 The grounds feature a teak-decked infinity pool, views down to the sea and over land to beautiful countryside. There are little walled gardens with seating, flowers and shrubs, closed in by olivewood gates. The house is entered by the main door under a grapevine-covered pergola, into the ground floor hall area, off which is the beautifully equipped and fitted kitchen with central seating island, Smeg double oven, fridge freezer, dishwasher, double Belfast sink and dresser. There is a utility room with washing machine and microwave. 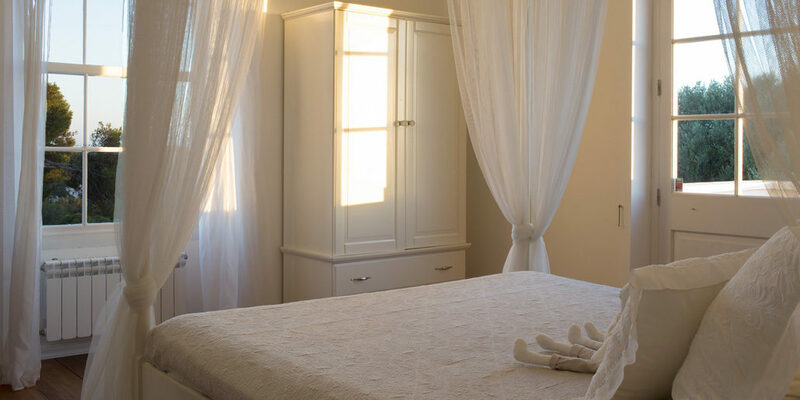 Located off the kitchen is the Assistants Bedroom and ensuite bathroom, ideal for a couple of teens or a nanny. The long French-windowed hallway/library leads down to the other end of the house where you will find the TV lounge with TV/DVD. Next to this room is the extremely pretty Bovera Suite with two single beds, open shower room behind and separate WC. The King Suite with superb views over the swimming pool, countryside and Mediterranean. 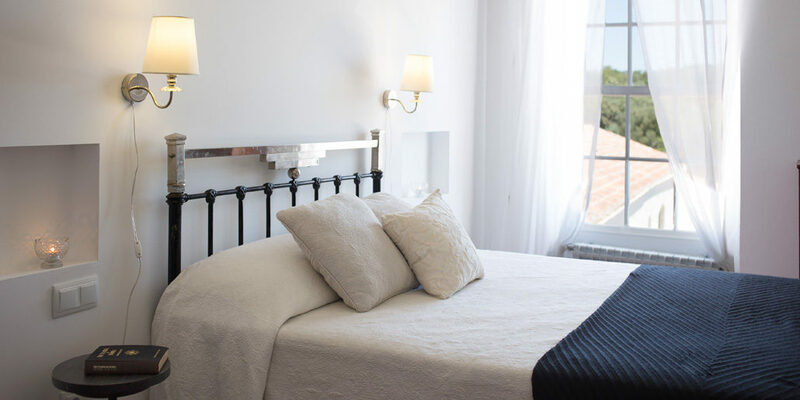 It is tastefully furnished with a large double bed. This room, which has air-conditioning, has a separate dressing room and an ensuite bathroom. It also has access to a 25sq m sun terrace. The Sjal Suite was once the main kitchen and boasts an extraordinary 7m high ceiling, complemented by a teak floor. It has a double bed and an ensuite bathroom. The South Suite is accessed via the first-floor library; this double-bedded suite boasts unrivalled valley views and an open-plan built-in bathroom. Upstairs again to the next level where a further two bedrooms can be found. 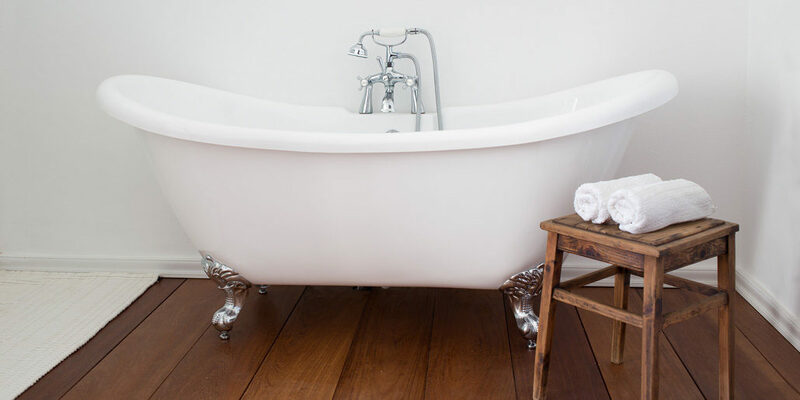 The teak-floored Queen Suite in the penthouse sleeps two or three guests; it shares a full bathroom with the Cousins Room: ideal for children, with bunk beds to accommodate up to four or five children. Binigaus Nou boasts three main living areas. 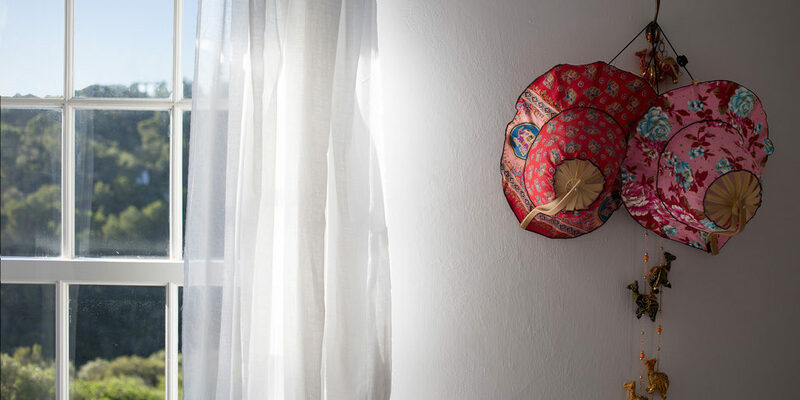 Each is exquisitely decorated and elegant and offers a tranquil atmosphere and optimal comfort. 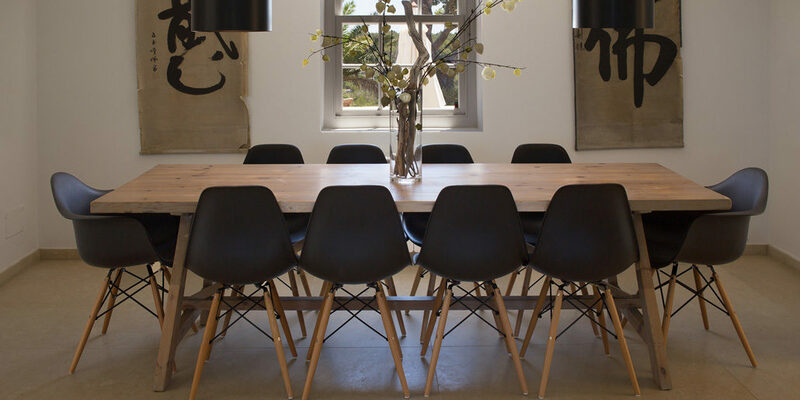 The kitchen and indoor dining area offers every modern convenience and seating for 14 people; just outside is the main terrace dining area with its vast dining table for 20. 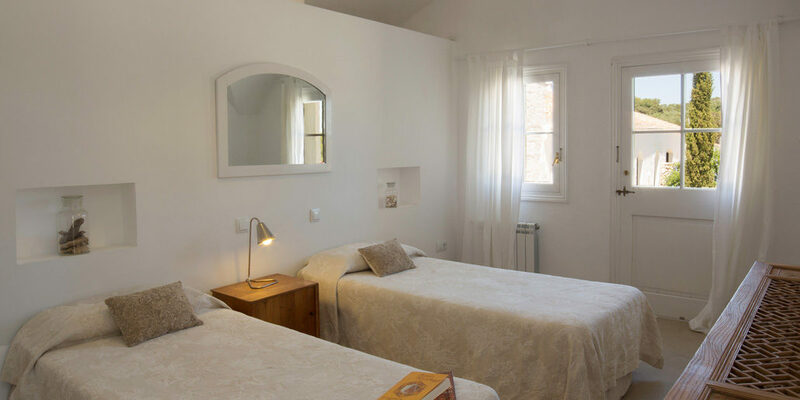 New to Binigaus Nou for the 2019 season is the lovingly renovated barn, which offers separate annexe accommodation for four people. In addition to the large and tastefully furnished living/dining/kitchen area, there are two bedrooms, a double and a twin, and a shower room. The views from the pool area seem never to end, taking in the beautiful Binigaus valley and the sea beyond. From the teak decking of the pool area the only building in sight is the villa itself. The quaint white-walled pool house has a refrigerator and barbecue area. Beautiful Binigaus beach, to which the public has access only via a long walk from Santo Tomas, is a 15-minute country stroll from the villa. You can enjoy its clear waters in one of the villa’s two sea kayaks. 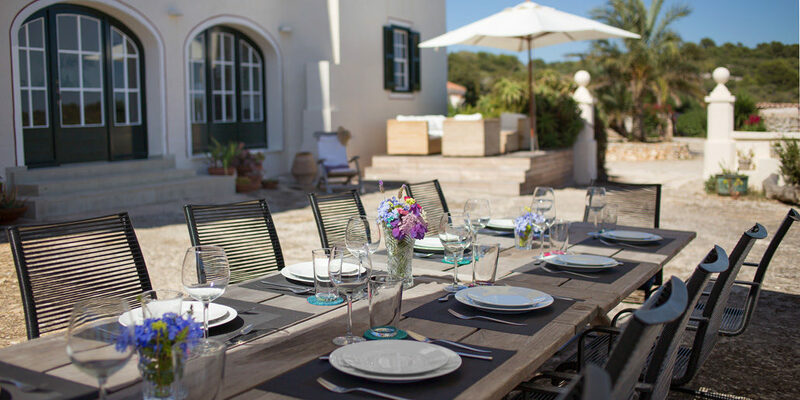 The villa has numerous country trails around the grounds, ideal for walking or cycling, and is close to the island’s famous Cami de Cavalls hiking road. Included in the rental is three hours of daily maid and pool service. Additional assistance can be organised to include shopping and a private chef. 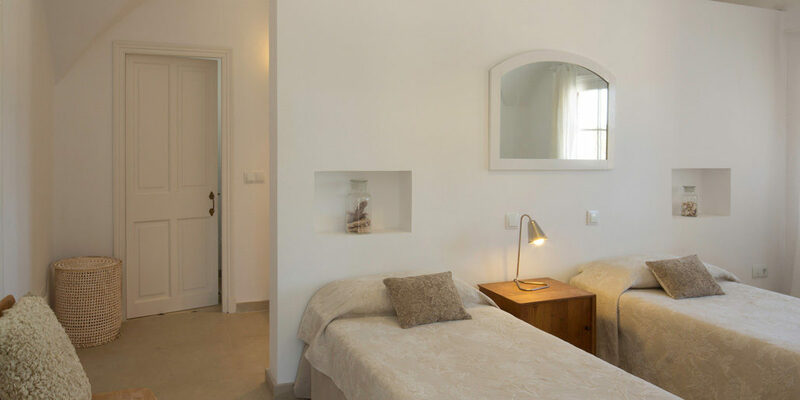 As well as being ideally situated to take advantage of the island’s great cities of Mahon and Ciutadella, Binigaus Nou also has a beautiful beach right on its doorstep and easy access to other superb bathing spots. It is also literally right upon the Cami de Cavalls, the Menorcan coastal footpath. From Binigaus Nou you can follow the path eastwards towards Sant Tomas and Son Bou or west towards Cala Galdana and the fabulous beaches of Trebaluger, Mitjana and Macarella.